Before every chemotherapy I’ve had to have blood tests, to check that I’ve enough a white blood cells to fight infection (if I’m worried about neutropenia, I should have been picked up before this, as I have to monitor my temperature frequently, and if I feel rough, call in to the 24-hour chemo line, or an ambulance if necessary)… otherwise putting cytotoxic drugs (yes, chemo is literally poison) in does not happen. The meeting’s with the oncologist are always rather swift (though I went in 10 mins before my appointment time!). We both cheered the fact that this is cycle 6/6, so only 3 more chemo chair sessions to go! If I’d been on Docetaxol I’d be celebrating my final chemo tomorrow, but I’m not – Paclitaxel is dosed and spread out over 3 weeks! 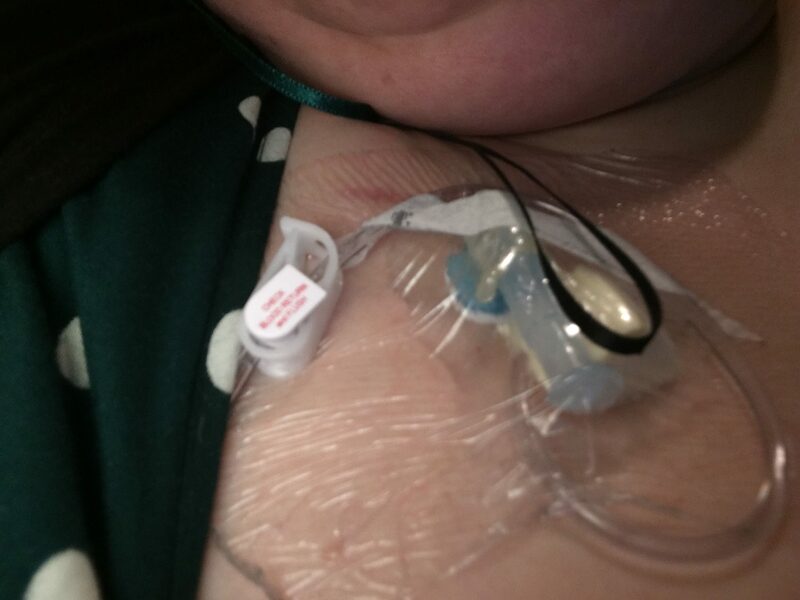 When my port was put in on 1st December, there was discussion as to whether it would stay in longer-term because I’m difficult to get blood from (and almost impossible to cannulate), which would still require me to have it flushed every 4-6 weeks. I wondered about this, but the port has been a little temperamental the last couple of weeks, and twisted a little bit. The oncologist said “why would you want to keep it in, you’ve finished your treatment”, which to me was quite a cheering statement! 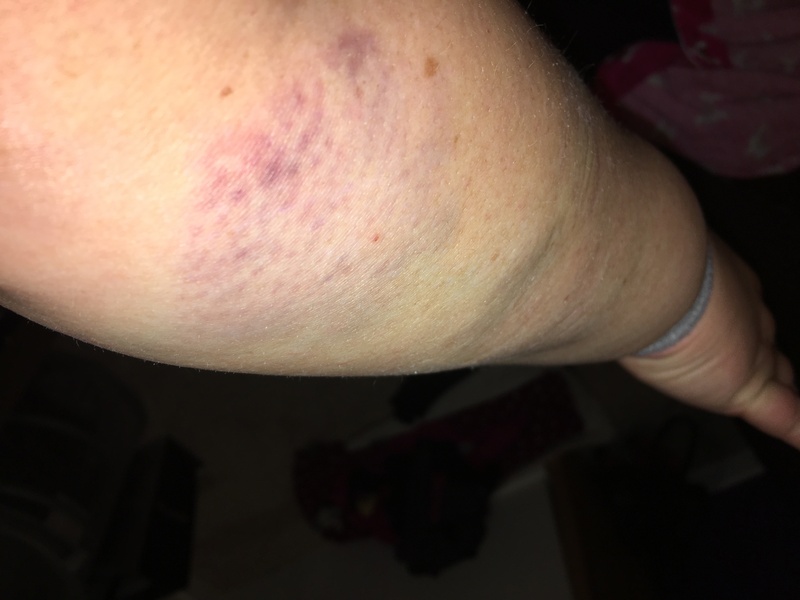 That’s coming out on 10th April … more local anaesthetic, and another week of bruising. I’ll need to have bloods taken that morning to ensure I’m not neutropenic. They reckon 10 days is long enough if that’s going to happen, and so – off it goes! Just hope it behaves for the next 3 blood tests/chemo sessions! I’ve now gone into the queue for radiotherapy. They originally said 2-3 weeks after chemo, but 3-4 weeks were mentioned. I guess it’ll be as soon as it is! I’ll get an appointment to get ‘tattoos‘ to identify where I’ll need to have the radiotherapy beams – that’ll take a couple of hours (all being well), and then the following week (although it says not usually starting on a Monday), I’ll have to go in for 15 minutes each day (machinery/enough staff permitting) for 3 weeks to be directed at my chest wall/lymph node area (think he may have said around the throat). I was given a pamphlet to read at my last appointment (largely this content) to ensure I understood, and then to ask any questions. I’m not feeling too worried about radiotherapy – think the actual happening is a bit of a non-event so long as I can lie still and hold my breath for long enough … the fatigue afterwards though is going to be fun, added onto the cumulative fatigue from chemo! At a previous consultation, one of the oncologist’s registrars said around 8 weeks to get over radiotherapy fatigue, whilst the other said that no one knows who is going to have longer-term fatigue until after treatment ends…. I’ve been seeking to keep myself active in between each treatment, even if we’re down to about 5-6,000 steps on a good day now (with frequent rests!). <edit> Ooo, someone’s posted a video of the set-up before the machine fires live beams for radiotherapy. There’s apparently something called the ‘oestrogen suppression team’, which just makes me giggle! I will first meet with my GP (not that I ever see the same GP twice!) to be prescribed Tamoxifen (for which I was given a Macmillan print-out), an oestrogen-suppressant (as my cancer is fuelled by that hormone). 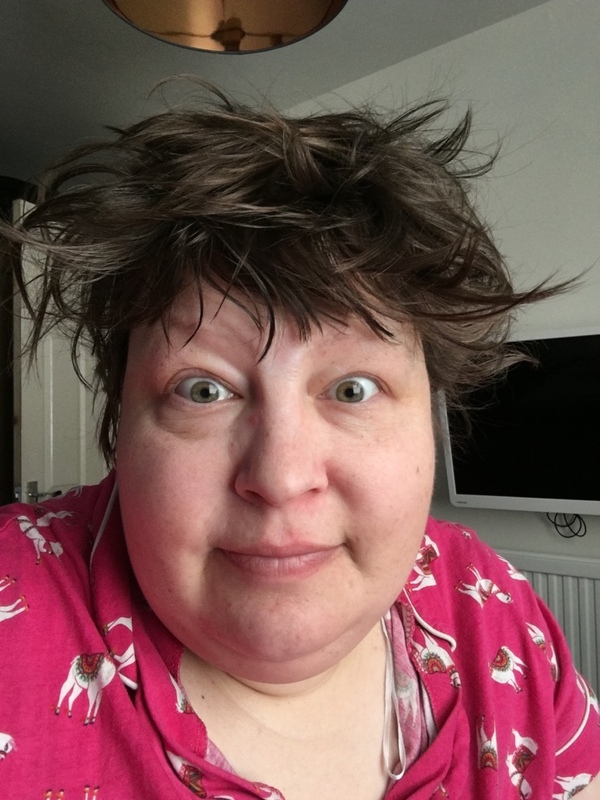 I thought I was going to be on that for 10 years, but asked about something I’d seen others having – and oh, I’m having that too (oncologist says we deal with one thing at a time… but would quite like to know what to prepare my head for!). I will be having Zoladex injections alongside the tamoxifen – all I know from the others in cancer groups is don’t look at the needle because apparently it’s massive. Think it gets injected into the stomach at the GP practice – initially monthly, then possibly onto 3 monthly once it’s clear body is coping with it. I’m not sure how long this is for – maybe a couple of years which is when they then declare that the menopause has been successful (hurrah, because chemically induced, it’s supposed to be extra-harsh). Apparently I’ll then move to Anastrazole: again, I don’t know how long for, so that’ll be early questions for the ‘oestrogen suppression team’! SO – look out for another photo from my Instagram tomorrow as we tick off another chemo chair session!